The secret of the trees: What they feel, how they communicate – the discovery of a hidden world. From Peter Wohlleben, published in 2015 by Ludwig. No english version available yet. During the reading we hover on our little balcony-boat, surrounded by mediterranean plants and herbs, immersed in the pages and lines of the books. Every now and then we throw little „did you know that…!“-bites at each other, while the branches of the ash in the backyard are swaying in the wind like sea anemones. The german forest ranger Peter Wohlleben reveals a fascinating view of the world of trees to us. By his own experience and following latest scientific findings, Wohlleben vividly and entertaining tells us about beech-trees supporting weak colleagues, sniveling oaks and also about the biggest living things on earth: fungi, which at the same time form the forests intelligent „wood wide web“. We learn that trees feel pain, exchange messages and have a memory. We become aware of the fact that different creatures live in different temporal dimensions. For a tree we may seem like a mayfly, which in turn considers us motionless giants. 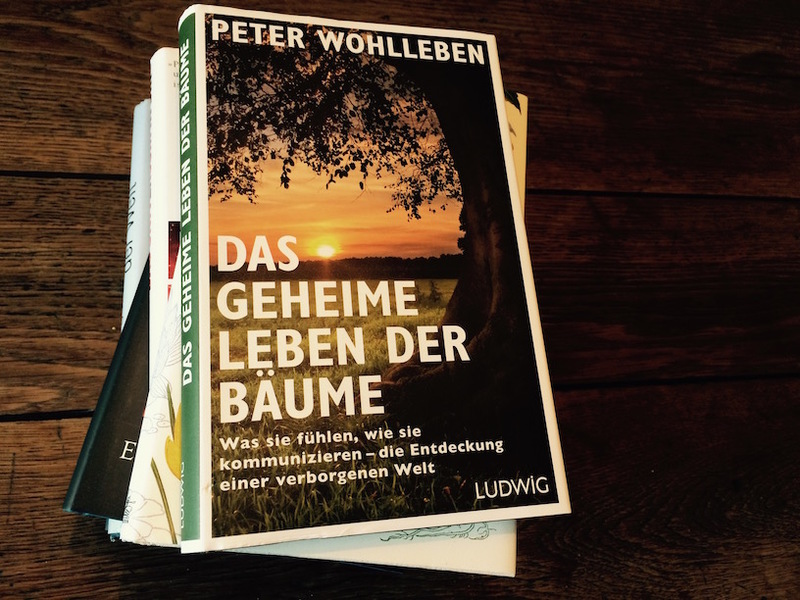 „Das geheime Leben der Bäume“ makes a good read, almost like a detective story. It draws a bow from the seedling to the trees death, covering all the arboreal fears and needs in between. A wonderful illuminativ treehouse read!